isabel "This is an excellent offer. 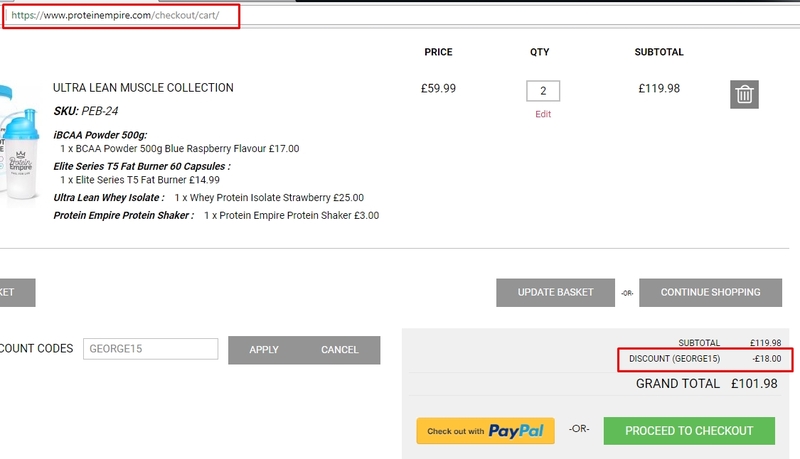 Just apply the promo code at checkout to get the discount. Some exclusions may apply." alejandro arias I am re-activating this deal. 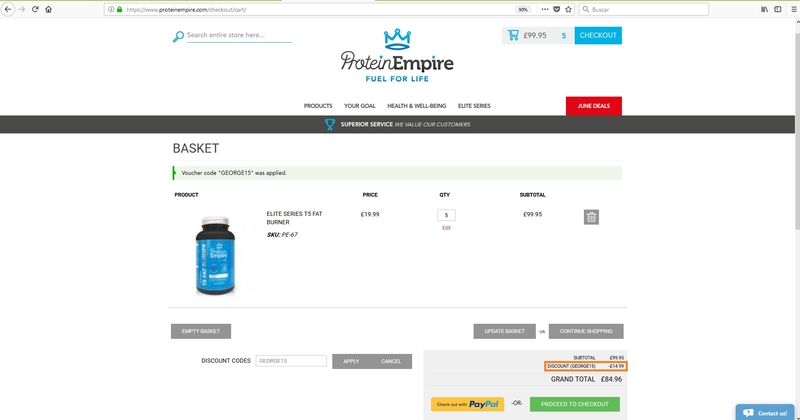 Use the promo code during the online checkout process to receive the discount 15% off your order at protein empire. Jose Gomez I'm validating that this deals works as described. 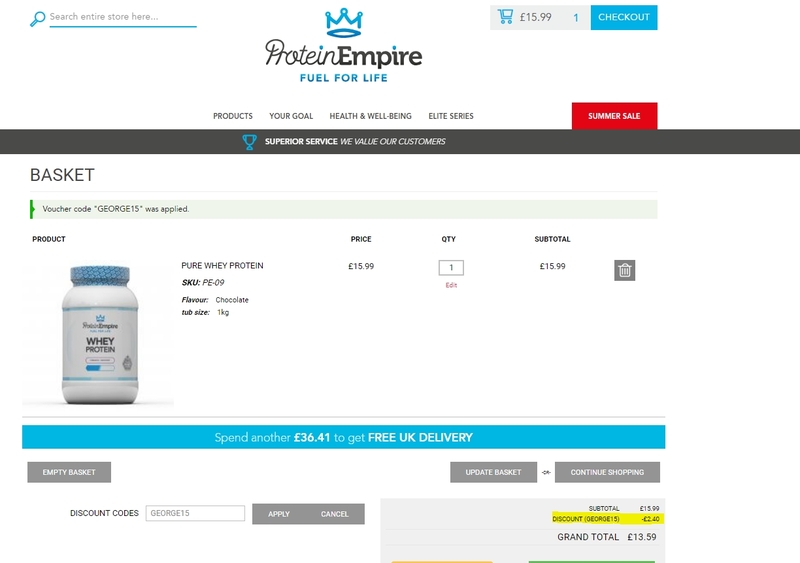 Go to Protein Empire, add the item to your shopping cart. Enter promo code and save 15% discount site-wide.